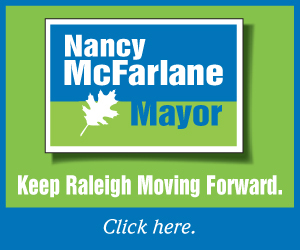 Back in October of 2011, voters in Raleigh, North Carolina turned out and elected Nancy McFarlane as Mayor of Raleigh with 34,424 votes -- and 63,683 views on YouTube. Yep. Almost 2 video views for every vote. As recently as 2008, online ads were largely the province of Presidential campaigns, with the Obama campaign in particular heralded for its success. In 2010, we chronicled how even more campaigns caught on to the web. Now in 2011 local candidates like McFarlane are taking advantage of new formats and targeting options on search, display, and online video to persuade voters, win the “Zero Moment of Truth” and drive turnout efforts. Taken just last week, our South Carolina poll with Public Opinion Strategies further cements the notion that voters - of all types - are tuning in to web videos in big numbers. The data shows that more than one out of every three primary voters had watched a video online from a campaign - thus the idea of watching a web video on one's lunch break is the new 'prime time news'. It is plain to see that video on the web is not something that campaigns, up and down the ballot, can afford to ignore. The Raleigh race - because it took place in an off-year - was expected to have low voter turnout. Sagar Sane, the campaign manager for Nancy McFarlane for Mayor decided that an added emphasis on online ads would allow the campaign to target likely voters and core demographics that they knew would be receptive to their message. 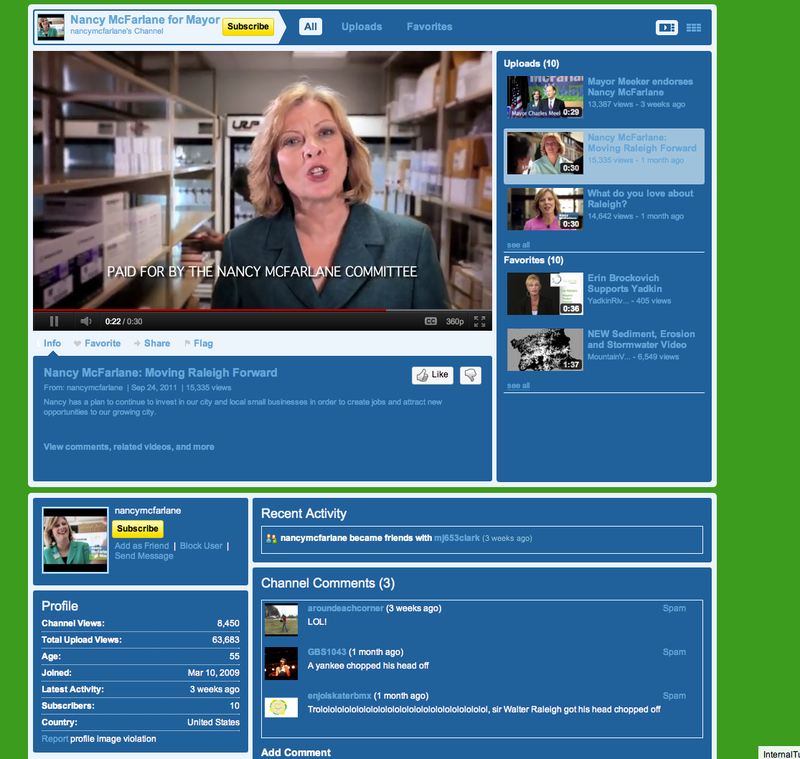 The first tool that the campaign utilized was TrueView Video Ads - a pre-roll video ad format that only became available to candidates in 2010. The McFarlane campaign was able to successfully target relevant content and audiences on YouTube--only paying when Raleigh-area voters actually chose to watch the ads, and making the format more effective and efficient for the race than broadcast or cable television could have been for the campaign. But the campaign didn't stop with video. Beyond YouTube, they began to target sites, audiences, and specific content themes across the internet with the Google Display Network - utilizing display ads like the one pictured here above. That meant that when voters in Raleigh were reading online about local politics or looking for their polling place, they likely came across a relevant McFarlane ad. For a race that took just 34K votes to win, the McFarlane campaign ran a cost-effective digital campaign that received 3.8 million impressions on Google’ Display Network ads alone. Google Search ads complemented this strategy, allowing the campaign to talk to voters as they researched the race and looked for information in the Raleigh area. When McFarlane won endorsements first from the outgoing mayor and then from the Raleigh News & Observer, the campaign was able to move quickly, spreading the word by bidding on local news searchers and linking directly to the endorsements, highlighting this important third-party validation. With races all across the country heating up for the 2012 cycle, campaigns at every level are getting savvier about their online strategy. Like Nancy McFarlane, they’re utilizing new digital tactics to win the ‘Zero Moment of Truth’--and win their elections. I Know This Time Will Come. So Beat It. Take a look at this research paper writing service which provides papers of very good quality at affordable prices.